This page holds some of our retired breeders. Brutus, 12 and Tibby, 12 and their daughter, Sadie, 10 on the right. 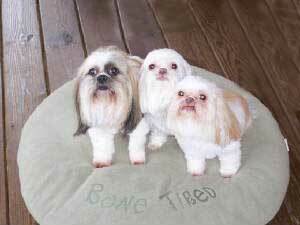 Retired Shih Tzu's.